Implement datasets and linked services. What is Azure Active Directory? Design and implement storage solutions for big data implementations. This entry was posted on January 4, 2018 at 3:01 pm	and is filed under Big Data, Certifications, Machine Learning. 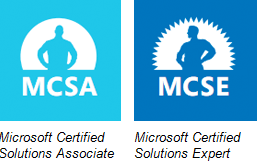 Tagged: ADLA, Azure data lake, azure data lake analytics, Azure Machine Learning, Big data, Big Data Certification, data factory. You can follow any responses to this entry through the RSS 2.0 feed. You can leave a response, or trackback from your own site.